When Chuck opens an e-mail subliminally encoded with government secrets, he unwillingly downloads an entire server of sensitive data into his brain. Now, the fate of the world lies in the unlikely hands of a guy who works at a Buy More Electronics store. Instead of fighting computer viruses, he must now confront assassins and international terrorists. I just finished binging Chuck on Amazon. I haven't seen it since it aired. Anyway, I am looking for those fics that you absolutely love and recommend to everyone. The action and characters draw you in. I would prefer case-fics, gen preferred but I will accept canon pairings only. Please, no slash. Whump and crossovers also accepted. Story Summary: Former CIA agent Sarah Walker has been cut adrift. Her memory of the previous five years was erased, and then she was lied to and sent to kill a man whom she discovered was her husband. This is the story of the day he tried to win her back. This is a canon-compliant follow-up to the series finale. It's rated M for depictions of intimacy and references to prior violence. Here is a LIST of my five favorite episodes from Season Three (2010) of NBC's "CHUCK". 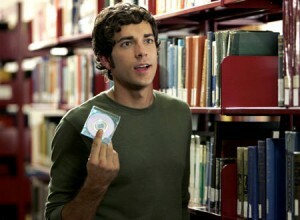 Created by Josh Schwartz and Chris Fedak, the series starred Zachary Levy. Here is a LIST of my five favorite Season Two episodes from NBC's "CHUCK". Here is a LIST of my five favorite Season One episodes from NBC's "CHUCK". Just wanted to let everyone I reuploaded my Chuck fanmix. Chuck, I want to spend the rest of my life with you. I don't care if you have the Intersect or not. Without you, I'm nobody. I'm nothing but a spy. Come back to me, Chuck. I want to marry you. So I've recently gotten back into the Chuck fandom and I've actually got my night-shift crew watching it at lunches and breaks too. Needless to say everyone is hooked. Anywho, I was wondering if someone could recommend to me their favorite Chuck/Sarah fanfics? I think this might count as something Chuck-ish. Zac is the star of Tiny Commando, a Mini-Series made for TV. He plays a 4 inches tall spy that goes on mission that require his tiny self. It's funny, original, and he makes missions, so it can remind you of his role in Chuck. I laughed a lot when he had to face a Guinea Pig. lol The episodes are short, so it is not time consuming. Go take a look! Don't know if this is of any use to anyone but, on the off-chance a would-be writer is struggling for inspiration, I hope this helps. Your basic 100-prompt table with a decidedly Chuck bent. I'm not from around here, in case my icon didn't give it away, but have a strange and vague request for help from Chuck fans. I hope this is okay here; I had a look at the posting rules, but it doesn't really fit into normal guidelines. You see, I'm going to write a very silly story for my boyfriend's birthday, briefly touching on lots of things he loves, most of which I know tonnes about as well. Problem is, Chuck is the thing he watches when I'm not around, so I have no idea. He loves it, and I would love to find a way to include some reference to it. Maybe some funky gadget everyone wants? I really don't know the show well enough to have any idea. If you have any thoughts as to what I could use, please, please don't hesitate to leave a comment or send me a message! I will be forever in your debt. Vote for Chuck and Sarah! 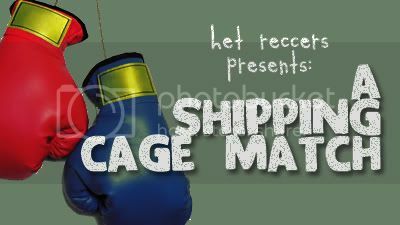 The amazing het_reccers community is celebrating itself with a month of special happy funtimes, including a shipping cage match! Pop on over, check out past recs, and go cheer on Sarah and Chuck in the polls!